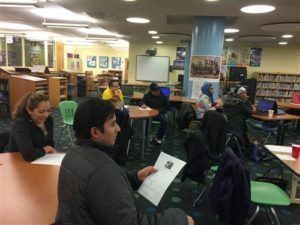 One of Thomas Jefferson’s many goals is to increase parent participation in school activities, especially among the culturally and linguistically diverse families. 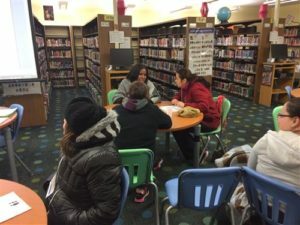 In light of this goal, Thomas Jefferson initiated the Family and Community Engagement Time Program (FACE Time) during the 2014-2015 school year. Every Monday evening, the program provides ongoing, meaningful, and effective outreach to culturally and linguistically diverse families. The parents are provided with school-related information and vocabulary that enable them to better navigate the school system and become more involved in their children’s education. In addition, the curriculum includes opportunities for parents to improve their English language skills to enable them to effectively communicate with the school. Through the program, parents are empowered in the role of decision-makers and advocates for their children. This year we had over 35 families participate. Thanks to this program, participation among the linguistically diverse families have increased. What is unique about our program is that it is a whole community project. Everyone within the community contributes in a different way.